Tenthorey, J.L., Haloupek, N., López- Blanco, J.R., Grob, P., Adamson, E., Hartenian, E, Lind, N.A., Chacón, P., Nogales, E and Vance, R.E. The structural basis of flagellin detection by NAIP5: a strategy to limit pathogen immune evasion Science DOI: 10.1126/science.aao1140. Nogales, E Profile of Joachim Frank, Richard Henderson, and Jacques Dubochet, 2017 Nobel Laureates in Chemistry. PNAS epub ahead of print. Stuart C. Howes, Elisabeth A. Geyer, Benjamin LaFrance, Rui Zhang, Elizabeth H. Kellogg, Stefan Westermann, Luke M. Rice, Eva Nogales Structural differences between yeast and mammalian microtubules revealed by cryo-EM Journal of Cell Biology DOI: 10.1083/jcb.201612195. Greber BJ, Nguyen THD, Fang J, Afonine PV, Adams PD, Nogales E The cryo-electron microscopy structure of human transcription factor IIH Nature cdoi: 10.1038/nature23903. Wright AV, Liu JJ, Knott GJ, Doxzen KW, Nogales E and Doudna JA Structures of the CRISPR genome integration complex. Science doi: 10.1126/science.aao0679. Shin J, Jiang F, Liu JJ, Bray NL, Rauch BJ, Baik SH, Nogales E, Bondy-Denomy J, Corn JE, Doudna JA. Disabling Cas9 by an anti-CRISPR DNA mimic Science Advances doi: 10.1126/sciadv.1701620. Nogales E. and Kellogg,E.H. Challenges and opportunities in the high-resolution cryo-EM visualization of microtubules and their binding partners Current Opinion in Structural Biology doi: 10.1016/j.sbi.2017.06.003. Xu, C.S., Hayworth, K.J., Lu, Z., Grob, P.,Hassan, A., Garcia Cerdan, J.G., Niyogi, K.K., Nogales, E., Weinberg, R.J. and Hess, H.F. Enhanced FIB-SEM systems for large-volume 3D imaging eLife doi: 10.7554/eLife.25916. Nogales E., Louder R.K. and He Y. Structural Insights into the Eukaryotic Transcription Initiation Machinery Annual Review of Biophysics doi: 10.1146/annurev-biophys-070816-033751. Nogales, Fang J, Louder RK. (2016) Structural dynamics and DNA interaction of human TFIID. Transcription ePub ahead of print. Booth, E.A, Sterling, S.M., Dovala, D., Nogales, E. and Thorner, J. (2016) Effects of Bni5 Binding on Septin Filament Organization. Journal of Molecular Biology ePub ahead of print. Nogales , E. (2016) Dear microtubule, I see you. 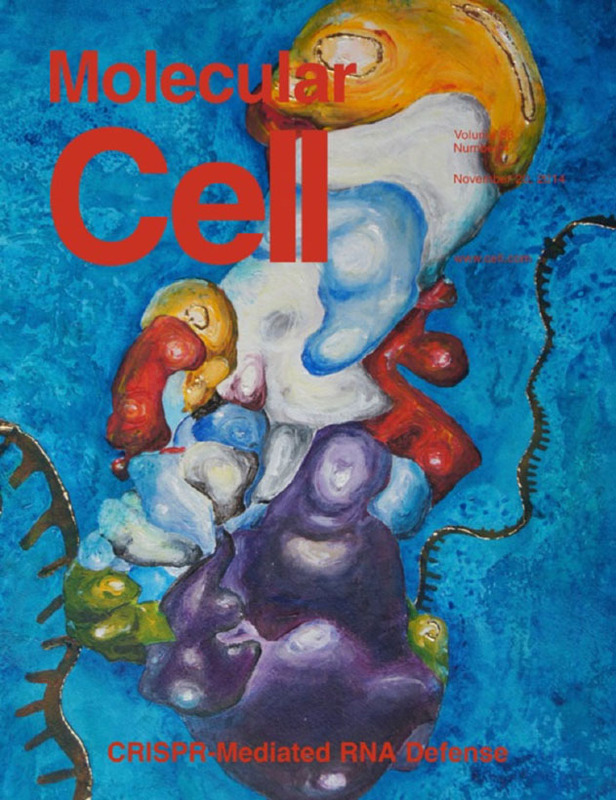 Molecular Biology of the Cell 27:3202-3204. Hurley, J.H. and Nogales, E. (2016) Next-generation electron microscopy in autophagy research. 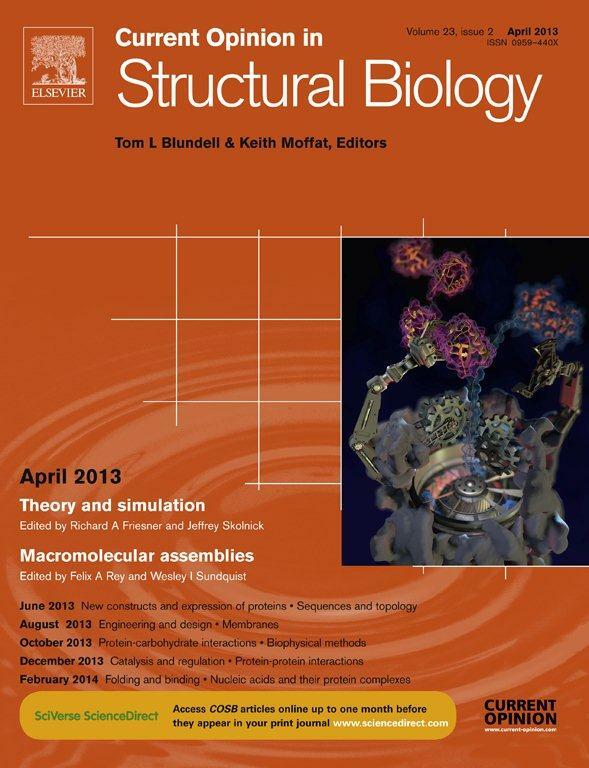 Current Opinion in Structural Biology 41:211-216. Nogales E, Louder RK, He Y (2016) Cryo-EM in the study of challenging systems: the human transcription pre-initiation complex. Current Opinion in Structural Biology 40:120-127. Hurley JH, Nogales E (2016) Next-generation electron microscopy in autophagy research. 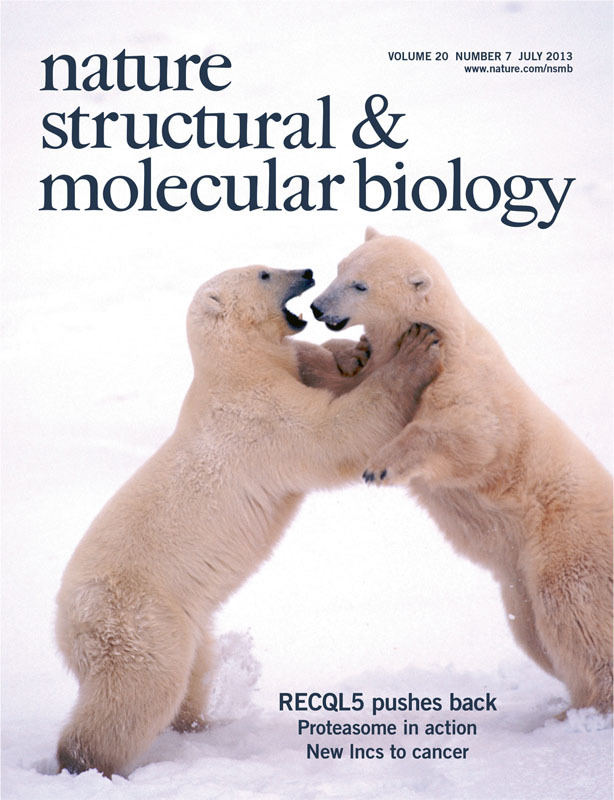 Current Opinion in Structural Biology 41:212-216. Hochstrasser ML, Taylor DW, Kornfeld JE, Nogales E, Doudna JA (2016) DNA Targeting by a Minimal CRISPR RNA-Guided Cascade. Molecular Cell 63(5):840-51. Kellogg EH, Howes S, Ti SC, Ramirez-Aportela E, Kapoor TM, Chacon P, Nogales E. (2016) Near-atomic cryo-EM structure of PRC1 bound to the microtubule. Proc National Academy of Sciences 113(34):9430-9. Finnigan GC, Sterling SM, Duvalyan A, Liao EN, Sargsyan A, Garcia G, Nogales E, Thorner J. (2016) Coordinate action of distinct sequence elements localizes checkpoint kinase Hsl1 to the septin collar at the bud neck in Saccharomyces cerevisiae. Molecular Biology of Cell 27(14):2213-33. He Y, Yan C, Fang J, Inouye C, Tjian R, Ivanov I, Nogales E. (2016) Near-atomic resolution visualization of human transcription promoter opening. Nature 533(7603):359-65. Borisy G, Heald R, Howard J, Janke C, Musacchio A, Nogales E. (2016) Microtubules: 50 years on from the discovery of tubulin. Nature Reviews Molecular Cell Biology 17(5):322-8. Bertin A, Nogales E (2016) Preparing recombinant yeast septins and their analysis by electron microscopy. 27(14):2213-33. Ti SC, Pamula MC, Howes SC, Duellberg C, Cade NI, Kleiner RE, Forth S, Surrey T, Nogales E, Kapoor TM. (2016) Mutations in Human Tubulin Proximal to the Kinesin-Binding Site Alter Dynamic Instability at Microtubule Plus- and Minus-Ends. Development Cell 37(1):72-84. Louder RK, He Y, López lanco JR, Fang J, Chacón, Nogales E (2016) Structure of promoter-bound TFIID and model of human pre-initiation complex assembly. Nature 531(7596):604-9. Garcia G , Finnigan GC, Heasley LR, Sterling SM, Aggarwal A, Pearson CG, Nogales E, McMurray MA, Thorner J. (2016) Assembly, molecular organization, and membrane-binding properties of development-specific septins. J Cell Biol Feb 29;212(5):515-29. F. Jiang*, D.W. Taylor*, J.S. Chen, J.E. Kornfeld, K. Zhou, A.J. Thompson, E. Nogales, J.A. Doudna (2016) Structures of a CRISPR-Cas9 R-loop complex primed for DNA cleavage. *These authors contributed equally to this work. Nogales, E. (2016) The development of cryo-EM into a main-stream structural biology technique. Nature Methods. Feng, R., Sang, Q., Kuang, Y.3*, Sun, X., Yan, Z., Zhang, S., Shi, J., Tian, G., Luchniak, A., Fukuda, Y., Li, B., Yu, M., Chen, J., Xu, Y., Guo, L., Qu, R., Sun, Z., Liu, M., Shi, H., Wang, H., Feng, Y., Shao, R., Chai, R., Li, Q., Zhao, X., Xing, Q., Sun, Q., Zhang, R., Nogales, E., Jin, L., He, L., Gupta, M.L., Cowan, N.J. and Wang, L. (2016) A vital role for TUBB8 in human oocyte meiotic spindle assembly and maturation. New England Journal of Medicine. Zhang, E.T., He, Y., Grob, P., Fong, Y.W., Nogales, E. and Tjian, R. (2015) Architecture of the Human XPC DNA repair and Stem Cell Coactivator Complex. PNAS, 2015 Dec 1;112(48):14817-22. M.L. Hochstrasser, D.W. Taylor, P. Bhat, C.K. Guegler, S.H. Sternberg, E. Nogales, J.A. Doudna. (2014) CasA mediates Cas3-catalyzed target degradation during CRISPR RNA-guided interference. Proc. Nat. Acad. Sci, 111(18)6618-23. Franziska Bleichert, Maxim Balasov, Igor Chesnokov, Eva Nogales, Michael R Botchan, James M Berger (2013) A Meier-Gorlin syndrome mutation in a conserved C-terminal helix of Orc6 impedes origin recognition complex formation eLife, 2:e00882, Oct 8 2013 Epub. Chaomin Sun, Jordi Querol-Audi, Stefanie A. Mortimer, Ernesto Arias-Palomo, Jennifer A. Doudna, Eva Nogales, Jamie H. D. Cate. (2013) Two RNA-binding motifs in eIF3 direct HCV IRES-dependent translation. Nucl. Ac. Res.41(15)7512-21. Kassube, S.A., Jinek, M., Fang, J., Tsutakawa, S. and Nogales, E. (2013) Structural mimicry in transcription regulation of human RNA polymerase II by the DNA helicase RECQL5. Nat. Struct. Mol. Biol., 20(7)892-9. Taylor, D.W., Ma, E., Shigematsu, H., Cianfrocco, M.K., Noland, C.L., Nagayama, K., Nogales, E., Doudna, J.A. and Wang, H.-W. (2013) Substrate-specific structural rearrangements of human Dicer. Nat. Struct. Mol. Biol., 20(6)662-70. Querol-Audi, J., Sun, C., Vogan, J.M., Smith, D., Gu, Y., Cate, J.H.D. and Nogales, E. (2013) Architecture of human translation initiation factor 3 Structure, 21(6)920-8. Lander, G.C., Martin, A. and Nogales, E. (2013) The proteasome under the microscope: The regulatory particle in focus. COSB, 23(2)243-51. Grob, P., Bean, D., Typke, D., Li, X., Nogales, E. and Glaeser, G.M. (2013) Ranking TEM cameras by their response to electron shot noise. Ultramicroscopy , 133C1-7. Galbraith, C., Kettler P. and Nogales, E. (2013) New technologies in imaging. MBoC, 6669. Kassube SA, Fang J, Grob P, Yakovchuk P, Goodrich JA, Nogales E. (2013) Structural insights into Transcriptional Repression by non-coding RNAs that bind to Human Pol II. J Mol Biol, 425,3639-3648. Lampert, F., Mieck, C., Alushin, G., Nogales, E. and Westermann, S. (2013) Molecular requirements for the formation of a kinetochore-microtubule interface by Dam1 and Ndc80 complexes. J Cell Biol, 1,21-30. Jiajie Diao, Patricia Grob, Daniel J. Cipriano, Minjoung Kyoung, Yunxiang Zhang, Sachi Shah, Amie Nguyen, Mark Padolina, Ankita Srivastava, Marija Vrljic, Ankita Shah, Eva Nogales, Steven Chu, Axel T. Brunger (2012) Synaptic proteins promote calcium-triggered fast transition from point contact to full fusion. eLife, 1:e00109 Dec 13 2012 Epub. Gregory M. Alushin, Vivek Musinipally, Daniel Matson, John Tooley, P. Todd Stukenberg, and Eva Nogales (2012) Multi-modal microtubule binding by the Ndc80 kinetochore complex. NSMB, 19(11)1161-7. Hudak JE, Barfield RM, de Hart GW, Grob P, Nogales E, Bertozzi CR, Rabuka D. (2012) Synthesis of Heterobifunctional Protein Fusions Using Copper-Free Click Chemistry and the Aldehyde Tag. Angew Chem Int Ed Engl., 51(17), 4161-5. Sun, C., Todorovic, A., Querol-Audi, J., Bai, Y., Villa, N., Snyder, M., Ashchyan, J., Lewis, C., Hartland, A., Gradia, S., Fraser, C., Doudna, J.A., Nogales, E. and Cate (2011) J.H.D. Functional reconstitution of the 13-subunit human translation initiation factor elF3. PNAS , 108, 20473-6. Garcia G 3rd, Bertin A, Li Z, Song Y, McMurray MA, Thorner J, Nogales E. (2011) Subunit-dependent modulation of septin assembly: budding yeast septin Shs1 promotes ring and gauze formation. J.Cell Biol. , 195,993-1004, Focus article on the same issue. Wiedenheft B, Lander GC, Zhou K, Jore MM, Brouns SJ, van der Oost J, Doudna JA, Nogales E. (2011) Structures of the RNA-guided surveillance complex from a bacterial immune system. Nature , 477, 486-9. Shatsky M, Hall RJ, Nogales E, Malik J, Brenner SE. (2010) Automated multi-model reconstruction from single-particle electron microscopy data. J Struct Biol. 170 98-108. Nogales, E. and Ramey, V.H. (2009) Structure-function insights into the yeast Dam1 kinetochore complex. J Cell Sci., 22, 3831-3836. Wang, H.-W., Noland, C., Siredichadilok, B., Taylor, D.W., Ma, E., Felderer, K., Doudna, J.A., Nogales, E. (2009) Structural insights into RNA Processing by the Human RISC-Loading Complex. Nat Struct Mol Biol., 16, 1148-1153. Wu, Z., Wang, H-W., Mu, W., Ouyang, Z., Nogales, E., Xing, J. (2009) Simulations of tubulin sheet polymers as possible structural intermediates in microtubule assembly. PLoS One, 4(10): e7291. Liu, W-L., Coleman, R.A., Yang, J-L., Grob, P., Ma, E., Dailey, G., Nogales, E., and Tjian, R. (2009) Structures of three distinct activator-TFIID complexes. Genes Dev., 23(13), 1510-1521. Ramey, V.H., Wang, H.-W. and Nogales, E. (2009) Ab initio reconstruction of helical samples with heterogeneity, disorder and coexisting symmetries. J Struct Biol., 167(2), 97-105. Wang, H.-W., Ramey, V.H., Westermann, S., Drubin, D., Barnes, G., and Nogales, E. (2009) The yeast Dam1 kinetochore complex (also known as DASH) is essential for proper chromosome segregation... HFSP J., 3(2), cover only. Scheres, S.H., Valle, M., Grob, P., Nogales, E., and Carazo, J.M. (2009) Maximum likelihood refinement of electron microscopy data with normalization errors. J Struct Biol., 166(2), 234-240. Nogales, E. and Downing, K.H. (2008) Tubulin and Microtubule Structures. The Role of Microtubules in Cell Biology, Neurobiology, and Oncology, T. Fojo (Ed. ), Humana Press. Wang, H.-W., Long, S., Ciferri, C., Westermann, S., Drubin, D., Barnes, G. and Nogales, E. (2008) Architecture and Flexibility of the Yeast Ndc80 Kinetochore Complex. J Mol Biol., 383(4), 894-903. Clarey, M.G., Botchan, M. and Nogales, E. (2008) Single particle EM studies of the Drosophila melanogaster origin recognition complex and evidence for DNA wrapping. J Struct Biol., 164(3), 241-249. Bertin, A., McMurray, M.A., Grob, P., Park, S.S., Garcia III, G., Patanwala, I., Ng, H.L., Alber, T., Thorner, J. and Nogales, E. (2008) Saccharomyces cerevisiae septins: supramolecular organization of heterooligomers and the mechanism of filament assembly. Proc Natl Acad Sci., 105(24), 8274-8279. Liu, W-L., Coleman, R.A., Grob, P., Geles, K.G., King, D.S., Ramey, V.H., Nogales, E. and Tjian, R. (2008) Structural changes in TAF4b-TFIID correlated with promoter selectivity. Mol Cell., 29, 81-91. Wang, H.-W., Wang, J., Ding, F., Callahan, K., Bulter, J.S., Nogales, E., and Ke, A. (2007) Architecture of the yeast Rrp44-exosome complex suggests routes of RNA recruitment for 3'-end processing. Proc Natl Acad Sci., 104, 16844-16849. Wang, H.-W., Ramey, V.H., Westermann, S., Leschziner, A., Welburn, J.P.I., Nakajima, Y., Drubin, D.G., Barnes, G., and Nogales, E. (2007) Architecture of the Dam1 kinetochore ring complex: implications for microtubule-driven assembly and force-coupling mechanisms. Nat Struct Mol Biol., 14, 721-726. Hall, R.L., Siridechadilok, B., and Nogales, E. (2007) Cross-correlation of common lines: a novel approach for single-particle reconstruction of a structure containing a flexible domain. J Struct Biol., 159, 474-482. Khodiyar, V.K., Maltais, L.J., Sneddon, K.M.B., Smith, J., Shimoyama, M., Cabral, F., Dumontet, C., Dutcher, S.K., Lafanechère, L., Murray, J.W., Nogales, E., Piquemal, D., Stanchi, F., Povey, S., and Lovering, R.C. (2007) A revised nomenclature for the human and rodent α-tubulin gene family. Genomics, 90, 285-289. Nogales, E. and Sundquist, W.I. (2007) Macromolecular assemblages: focusing on complexity. Curr Opin Struct Biol., 17, 205-208. E. Galburt, S.W. Grill, A. Wiedmann, M. Kireeva, E. Nogales, M. Kashlev, and C. Bustamante. (2007) Backtracking determines the force sensitivity of RNAP II in a factor-dependent manner. Nature, 446, 820-823. A.E. Leschziner, A. Saha, J. Wittmeyer, Y. Zhang, C. Bustamante, B.R. Cairns, and E. Nogales. (2007) Conformational flexibility in the chromatin remodeler RSC observed by electron microscopy and the orthogonal tilt reconstruction method. Proc Natl Acad Sci., 104, 4913-4918. B. Chen, M. Doucleff, D.E. Wemmer, S. DeCarlo, H. Huang, E. Nogales, T.R. Hoover, E. Elena Kondrashkina, L. Guo, and B.T. Nixon. (2007) ATP ground- and transition states of the enhancer binding AAA+ ATPases support complex formation with their target protein, σ54. Structure, 15, 429-440. A.E. Leschziner and E. Nogales. (2007) Visualizing flexibility at molecular resolution: analysis of heterogeneity in single-particle electron microscopy reconstructions. Ann Rev Biophys Biomol Struct., 36, 43-62. S.A. Kostek, P. Grob, S. De Carlo, J.S. Lipscomb, F. Garczarek and E. Nogales. Molecular architecture and conformational flexibility of human RNA polymerase II. (2006) Structure, 14, 1691-1700. S. De Carlo, B. Chen, T.R. Hoover, E. Kondrashkina, E. Nogales and B.T. Nixon. The structural basis of regulated assembly and function of the transcriptional activator NtrC. (2006) Genes Dev. 20, 1485-1495. E. Nogales and H.-W. Wang. Structural mechanisms underlying nucleotide-dependent self assembly of tubulin and its relatives. (2006) Curr Opin Struct Biol. 16(2), 221-229. H.-W. Wang and E. Nogales. Structural intermediates in microtubule assembly and disassembly: how and why? (2006) Curr Opin Cell Biol. 18(2), 179-284. P. Grob, M.J. Cruse, C. Inoue, M. Peris, P.A. Penczek, R. Tjian and E. Nogales. Cryo-electron microscopy studies of human TFIID: Conformational breathing in the integration of gene regulatory cues. (2006) Structure. 14, 511-520. A.E. Leschziner and E. Nogales. The orthogonal tilt reconstruction method: An approach to generating single-class volumes with no missing cone for ab initio reconstruction of asymmetric particles. (2006) J Struct Biol. 153, 284-299. S. Westermann, H.-W. Wang, A. Avila-Sakar, D.G. Drubin, E. Nogales and G. Barnes. The Dam1 kinetochore ring complex moves processively on depolymerizing microtubule ends. (2006) Nature. 440, 565-569. B. Siridechadilok, C.S. Fraser, R.J. Hall, J.A. Doudna, and E. Nogales. Structural roles for human translation factor eIF3 in the initiation of protein synthesis. (2005) Science. 310, 1513-1515. A.H. Sarker, S.E. Tsutakawa, S. Kostek, C. Ng, D.S. Shin, M. Peris, E. Campeau, J.A. Tainer, E. Nogales and P.K. Cooper. Recognition of RNA Pol II and transcription bubbles by XPG, CSB and TFIIH: Insights for transcription-coupled repair and Cockayne Syndrome. (2005) Mol Cell. 20, 1-12. Hong-Wei Wang, S.B.T. Long, K.R. Finley, Eva Nogales. Assembly of helical ribbons by GMPCPP-bound tubulin and effect of colchicine. (2005) Cell Cycle. 4, 1157-60. Andres E. Leschziner, Bryan Lemon, Robert Tjian, Eva Nogales. Structural Studies of the Human PBAF Chromatin-Remodeling Complex. (2005) Structure. 13, 267-275. Hong-Wei Wang and Eva Nogales. An iterative Fourier-Bessel algorithm for reconstruction of helical structures with severe Bessel overlap. (2005) J Struct Biol. 149, 65-78. Stefan Westermann, Agustin Avila-Sakar, Hong-Wei Wang, Hanspeter Niederstrasser, Jonathan Wong, David G. Drubin, Eva Nogales, and Georjana Barnes. Formation of a dynamic kinetochore-microtubule interface through assembly of the Dam1 ring complex. (2005) Mol Cell. 17, 277-290. E. Nogales. Tubulin and its isoforms. in Encyclopedia of Biological Chemistry, Vol. 4 (2004) W. Lennarz and D. Lane (Eds. ), Elsevier Science. M.S. Poruchynsky, J.H Kim, E. Nogales, T. Annable, F. Loganzo, L.M. Greenberger, D.L. Sackett, T. Fojo. Tumor cells resistant to a microtubule-depolymerizing hemiasterlin analogue, HTI-286, have mutations in α- or β-tubulin and increased microtubule stability. (2004) Biochemistry. 43, 13944-13954. Hanspeter Niederstrasser, Hani Salehi-Had, Eugene C. Gan, Claire Walczak, Eva Nogales. XKCM1 Acts on a Single Protofilament and Requires the C Terminus of Tubulin. (2002) J Mol Biol. 316(3), 817-828. Dylan J. Taatjes, Anders M. Näär, Frank Andel III, Eva Nogales, Robert Tjian. Structure, Function, and Activator-Induced Conformations of the CRSP Coactivator. (2002) Science. 295, 1058-1062. Heald R., Nogales E. Microtubule dynamics. (2002) J Cell Sci. 115, 3-4. A.M. Näär, D.J. Taatjes, W. Zhai, E. Nogales, and R. Tjian. Human CRSP interacts with RNA polymerase II CTD and adpots a specific CTD-bound conformation. (2002) Genes Dev., 16, 1339-1344. H. Li, D.J. DeRosier, W.V. Nicholson, E. Nogales, and K.H. Downing. Microtubule structure at 8 Å resolution. (2002) Structure, 10, 1317-1328. Agustin J. Avila-Sakar, Shahram Misaghi, Elizabeth Wilson-Kubalek, Kenneth H. Downing, Helen Zgurskaya, Hiroshi Nikaido and Eva Nogales. (2001) Lipid-Layer Crystallization and Preliminary Three-Dimensional Structural Analysis of AcrA, the Periplasmic Component of a Bacterial Multidrug Efflux Pump. J Struct Biol. 136, 81-88. M. Katherine Jung, Natalie Prigozhina, C. Elizabeth Oakley, Eva Nogales, and Berl R. Oakley. (2001) Alanine-scanning Mutagenesis of Aspergillus γ-Tubulin Yields Diverse and Novel Phenotypes. Mol Biol Cell. 12(7), 2119-36. E. Nogales. (2001) Structural insight into microtubule function. Annu Rev Biophys Biomol Struct. 30, 397-420. Snyder J.P., Nettles J.H., Cornett B., Downing K.H., Nogales E. (2001) The binding conformation of Taxol in β-tubulin: A model based on electron crystallographic density. Proc Natl Acad Sci USA. 98(9), 5312-5316. Y.F. Inclan, E. Nogales. (2001) Structural models for the self-assembly and microtubule interactions of gamma-, delta- and epsilon-tubulin. J Cell Sci. 114(2), 413-422. H. William Detrich III, Sandra K. Parker, Robley C. Williams Jr., Eva Nogales, Kenneth H. Downing. Cold Adaptation of Microtubule Assembly and Dynamics. J Biol Chem. 275(47), 37038-37047, 2000. P. Giannakakou, R. Gussio, Eva Nogales, Kenneth H. Downing, D. Zaharevitz, B. Bollbuck, G. Poy, D. Sackett, K.C. Nicolaou, T. Fojo. A common pharmacophore for epothilone and taxanes: Molecular basis for drug resistance conferred by tubulin mutations in human cancer cells. Proc Natl Acad Sci USA. 97(6), 2904-9, 2000. J.L. Paluh, Eva Nogales, B.R. Oakley, K. McDonald, A.L. Pidoux, W.Z. Cande. A Mutation in γ-Tubulin Alters Microtubule Dynamics and Organization and Is Synthetically Lethal with the Kinesin-like Protein Pkl1p. Mol Cell Biol. 11, 1225-39, 2000. K.L. Richards, K.R. Anders, Eva Nogales, K. Schwartz, K.H. Downing, D. Botstein. Structure-Function Relationships in Yeast Tubulins. Mol Cell Biol. 11, 1887-903, 2000. Eva Nogales. Recent structural insights into transcription preinitiation complexes. J Cell Sci. Pt 24, 4391-7, 2000. Y. Han, E.P. Sablin, E. Nogales, R.J. Fletterick, K.H. Downing. Visualizing a New Binding Site of ncd-Motor Domain on Tubulin. J Struct Biol. 128(1), 26-33, 1999. Eva Nogales, Wah Chiu. 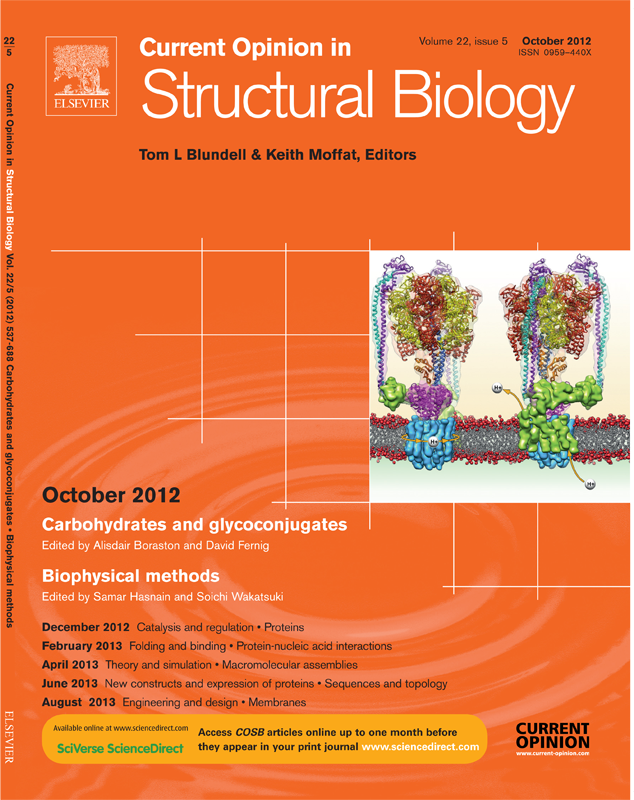 Electron Crystallography of Biological Macromolecules (Editorial). J Struct Biol. 128(1), 1-2, 1999. Becket Feierbach, Eva Nogales, Kenneth H. Downing, Tim Stearns. Alf1p, a CLIP-170 Domain-containing Protein, Is Functionally and Physically Associated with α-Tubulin. J Cell Biol. 144, 113-24, 1999. WV Nicholson, M Lee, Kenneth H. Downing, Eva Nogales. Cryo-electron microscopy of GDP-tubulin rings. Cell Biochem Biophys. 2, 175-83, 1999. Eva Nogales. A structural view of microtubule dynamics. Cell Mol Life Sci. 56(1-2), 133-42, 1999. Frank Andel III, AG Ladurner, C Inouye, R Tjian, Eva Nogales. Three-dimensional structure of the human TFIID-IIA-IIB complex. Science. 286, 2153-6, 1999. Kenneth H. Downing, Eva Nogales. Tubulin and microtubule structure. Curr Opin Cell Biol. 10, 16-22, 1998. Kenneth H. Downing, Eva Nogales. Tubulin structure: insights into microtubule properties and functions. Curr Opin Struct Biol. 8, 785-791, 1998. Picturing Proteins. Berkeley Lab Research Review, Winter 2000 issue. Scientists Snap First 3-D Pictures of the "Heart" of the Transcription Machine. UC Berkeley Campus News, December 9, 1999. Structure of Human Transcription Factor Proteins Revealed In 3D. Berkeley Lab Research News, December 9, 1999. Did you ever wonder about the skeletal structure of living cells? Berkeley Lab, 1999. Mystery of Vital Cell Protein Solved After 30 Years. Berkeley Lab Research News, January 8, 1998.